﻿ Students all over Florida are going back to school this month. And for a variety of reasons, such as new schools being built, district adjustments, relocation, and the opportunity to choose your school, not all of them will be going back to the same school they attended last year. As a Realtor, Colleen often works with clients who make a certain school district part of their house hunting search criteria. She frequently hears comments like “We want to make sure we’re in the XYZ elementary school zone.” This can make the search tricky, because districts are subject to change. In addition, Florida’s Educational Choice Program means you can apply to have your child attend any Florida school, provided there is space available. The application window for the upcoming school year has closed, but applications for the 2019-2020school year will open February 1, 2019. This gives you plenty of time to explore your options. Keep in mind that if you do choose a school outside your district and your child is accepted, transportation to and from that school will be your responsibility. Charter schools are another popular option, and require applications to be filed separate from the Educational Choice Program. This can all be very confusing for parents and students alike, especially if you’re new to the area. 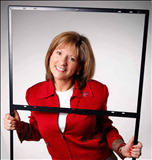 Colleen (and any reputable Realtor) will do her best to help clients find a home in their desired school district. She can also help you investigate other schools that may be just as acceptable. Because of being at the mercy of available inventory, changing standards, and other uncontrollable factors, she cannot guarantee the outcome. 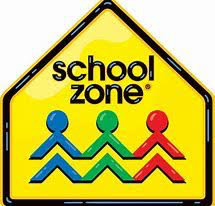 However, if being in a specific school zone is critically important, the best course of action is to check with the school board itself. On Lake County’swebsite (https://www.lake.k12.fl.us) you can find maps outlining the school districts based on grade level, instructions for how and when to apply for the Educational Choice Program, and even if there are plans for new schools to be built in an area you like.